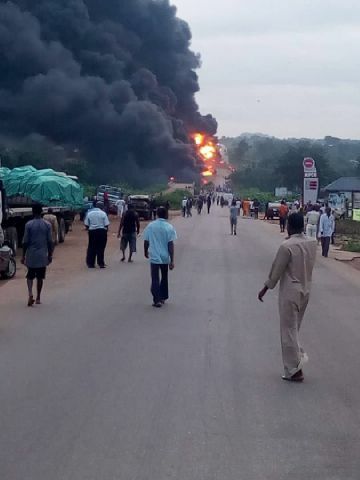 Three people were burnt to death and five others injured in an accident on the Zariagi-Lokoja highway in Kogi State. The Public Education Officer of the Federal Road Safety Corps (FRSC), Mr. Bisi Kazeem, who confirmed the development, said the incident occurred early on Thursday. He explained that nine people and three vehicles–Toyota Carina, Scania Truck and Mack Tanker–were involved in the accident.